Best for: Beginner to intermediate yogis with a thirst for gentle discovery and natural beauty. Not for: Detox junkies looking for strict regimes and action-packed programmes. 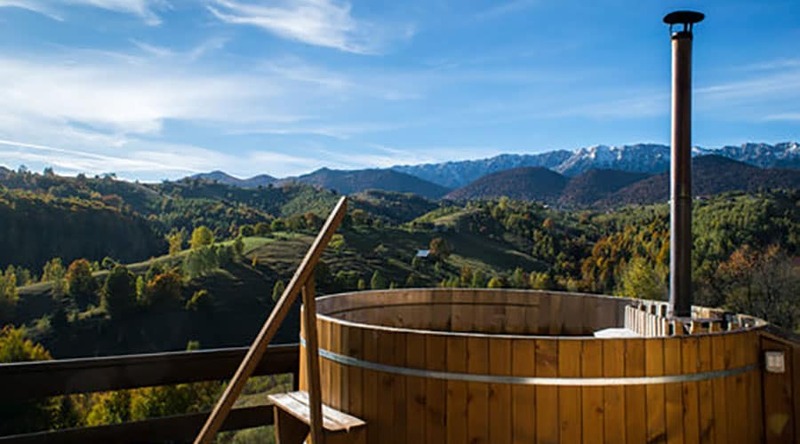 Akasha is an unexpected gem in the heart of rural Romania that offers a moment outside time. 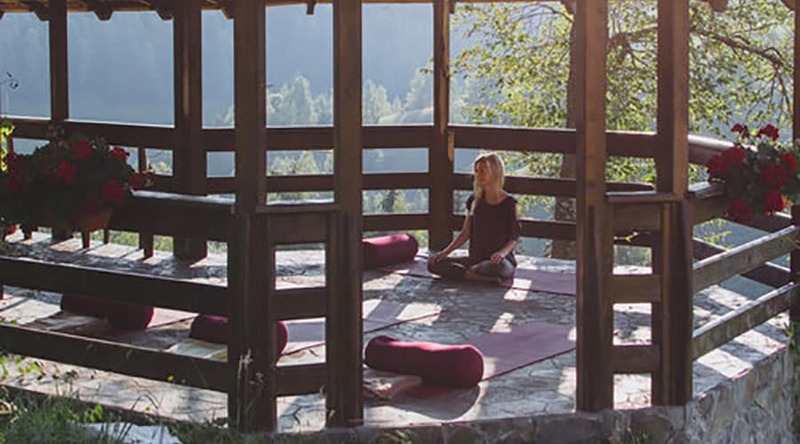 Nestled amongst hills and valleys in the tiny village of Peştera in Dracula country with a backdrop of the Bucegi Mountains, the retreat has been converted from a traditional hotel and offers a series of themed wellbeing retreats throughout the season. 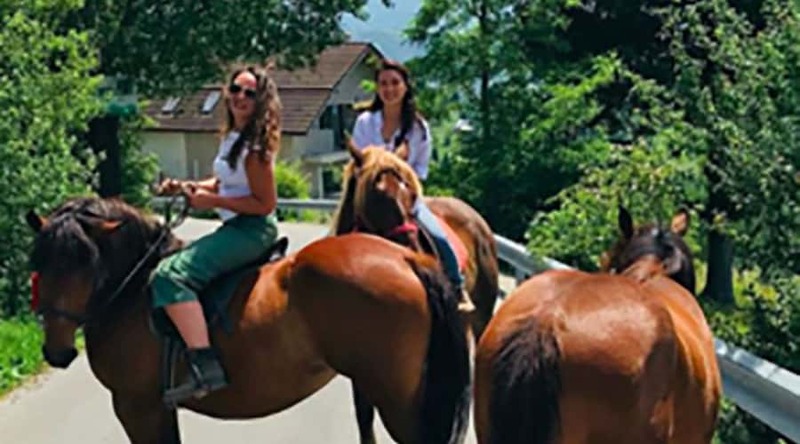 Choose gut health, wine tasting, juice cleansing or hiking as your focus and mix with stunning views, twice-daily yoga, fresh, honest plant-based food, and the gentle daily chorus of cockerels, cows and horses. Bursting with meadow flowers in summer, and blanketed in snow in winter, the dramatic setting takes the retreat experience to another level of awe, perspective and harmony. The perfectly pitched hospitality of Daniela and Irina, the mother-and-daughter team running Akasha, who create an atmosphere of true balance and comfort. Their ethos is that it should feel like a home away from home, and it really does. Accommodation is comfortable but not luxurious, and there could be better provision of towels and toiletries. The food is hearty and healthy, but those with weight-loss goals might not appreciate the rice, bread and potatoes that make up some of the meals. 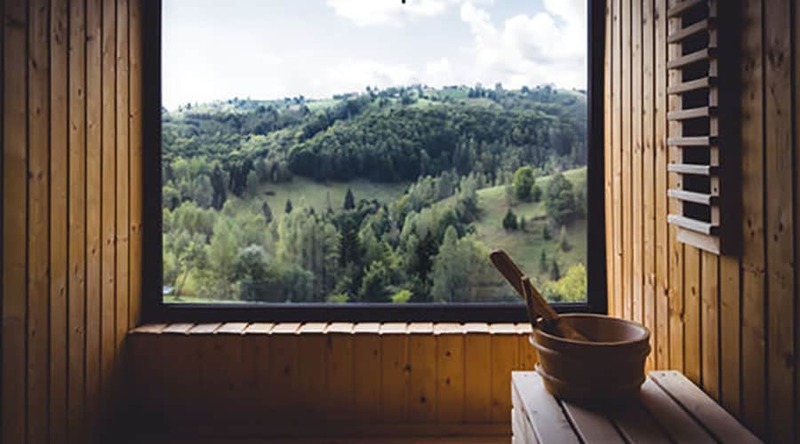 Zoe Ross reviews this wellbeing retreat in Transylvania and finds a timeless place full of dramatic vistas and birdsong for wellbeing, yoga and friendship. 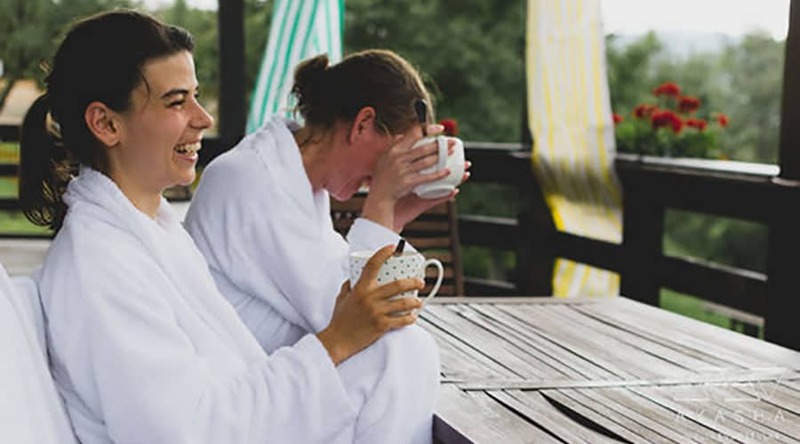 Each retreat has a different emphasis – themes such as gut health, wine-tasting, hiking and juice cleansing occur on rotation, a couple of times each during the season. 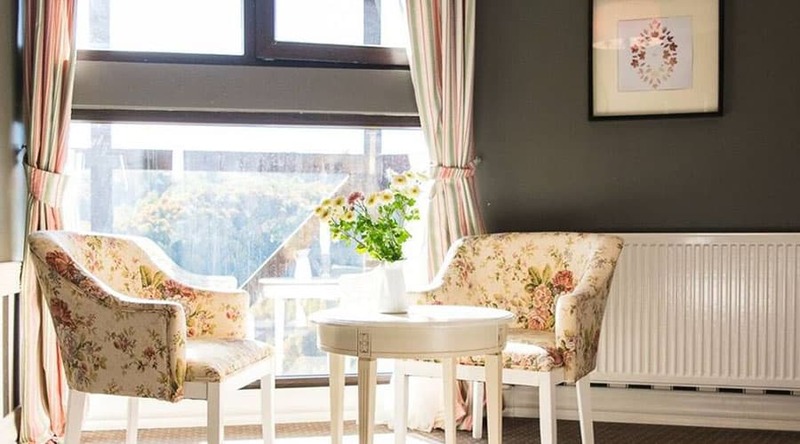 Whichever you choose, you’ll have access to yoga, meditation, hiking, skiing in winter, horse-riding, visits to local castles, sauna, hot tub and massage, snoozing on sofas and in hammocks. 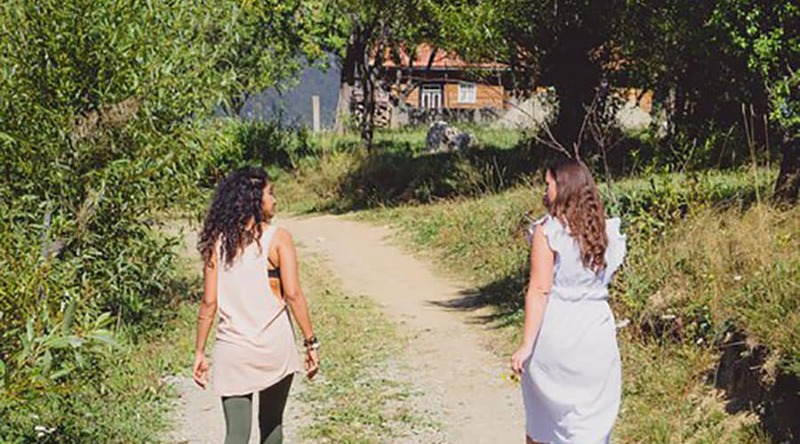 The six-day retreat provides integrative medicine and nutrition support from medical doctors Elena Toma and Ana Maria Stoica, plus a gut healing diet, along with presentations on the role of excessive stress and anxiety in Gastrointestinal disease and cognitive disorders, and how to “listen to your gut”. 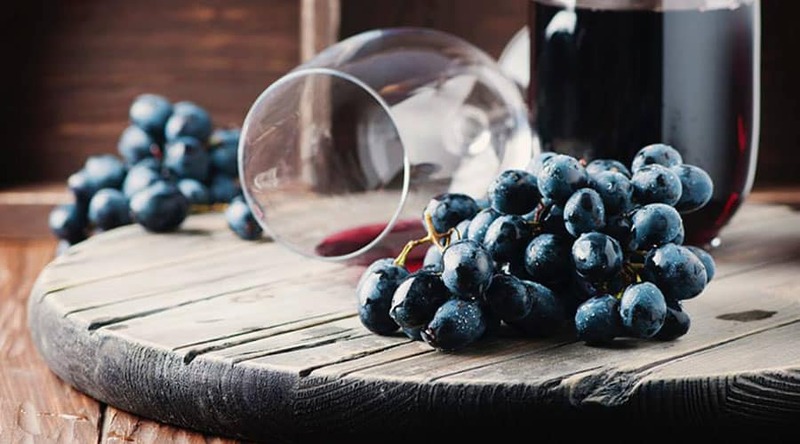 On this retreat you will be introduced to the wine-making culture of Romania, with two wine-tasting evenings including a selection of the finest Romanian wines, canapés, nuts and cheese, and a three-course plant-based meal.On this retreat you will be introduced to the wine-making culture of Romania, with two wine-tasting evenings including a selection of the finest Romanian wines, canapés, nuts and cheese, and a three-course plant-based meal. 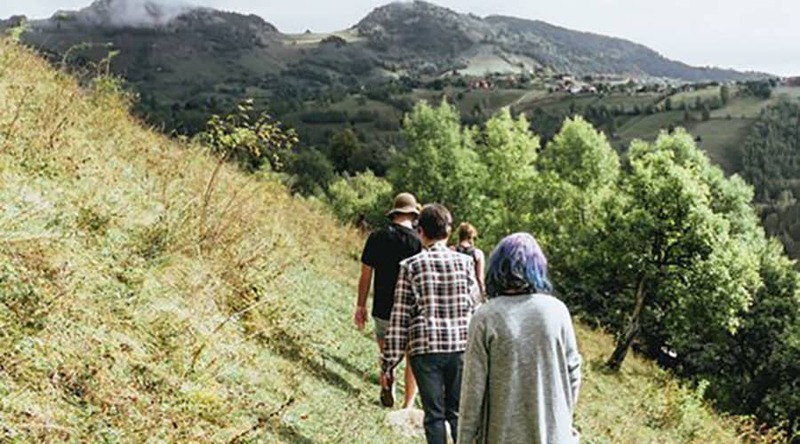 On hiking-focused retreats there is a one-day guided hike up to ‘Om Peak’ with packed snacks and lunch, as well as a visit to Dracula’s Castle and the nearby Bear Sanctuary. Whichever retreat you are on, the hills are right there for exploring. 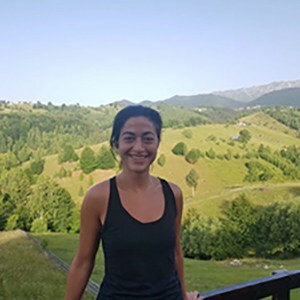 Irina and Daniela can advise on hiking routes to take, through hills, valleys and meadows. Skiing outings are available in winter months. Whichever retreat you choose, there’s a daily morning practice of 90 minutes, likely to incorporate elements of vinyasa flow and ashtanga. The style and level will depend on the experience of the group – beginners are welcome, and extra classes can be arranged for those who want something challenging. The daily evening practice, also 90 minutes, will be a combination of yin yoga, meditation and pranayama. Yoga is practised either on the outdoor deck or in the intimate indoor yoga room. Props, mats and blankets are provided. Teachers are on a three-month rotation at Akasha, so it’s worth checking the calendar to see who’ll be teaching at your retreat. There is both a traditional and an infrared sauna available at all times, as well as a hot tub on the deck overlooking the hills. There is also a bath rituals room kitted out like an apothecary, where you can select salts and herbs (gathered from Irina’s grandmother’s garden) for an indulgent soak. A massage therapist is on-site all week, offering massages of various styles. Akasha can arrange for you to be taken on horseback along trails surrounding the village. You can also take a ride in a traditional horse-and-cart and get a feel for local village life. You can even milk a cow, should the mood take you. There are also three pet dogs and a cat at Akasha, and a nearby bear sanctuary. 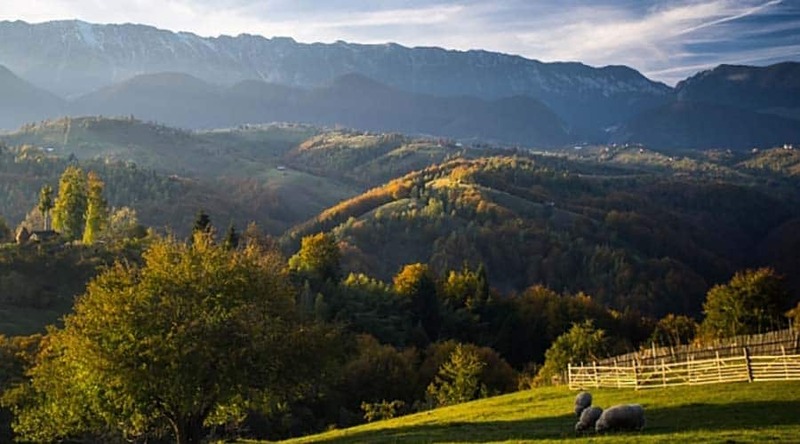 Transylvania is best known as the mysterious land of bloodthirsty vampires and howling wolves, and there’s something thrilling about discovering this ‘land beyond the forest’ for yourself. 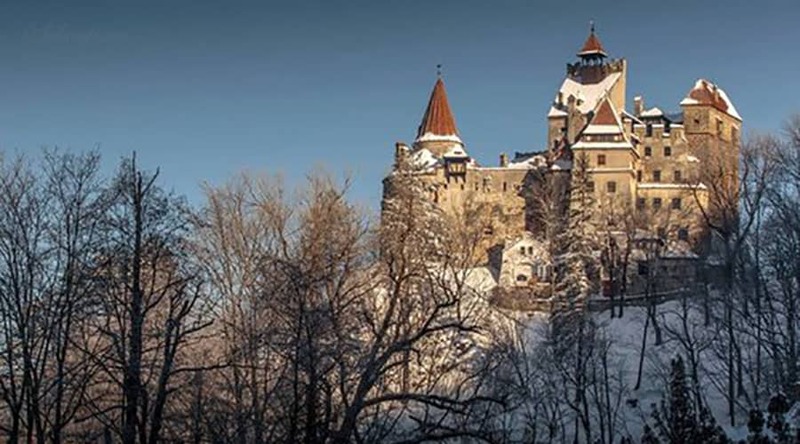 Afternoon guided visits to Bran Castle can be organised, and there are outings further afield to other castles, too. The Sphinx, a mystical natural rock formation in the Bucegi National Park, is nearby. Bedrooms: There are 11 rooms in total, all en-suite. Two are a little larger than the rest. Some overlook the stunning hills to the back, and some face the front of the house, which overlooks a very quiet road. 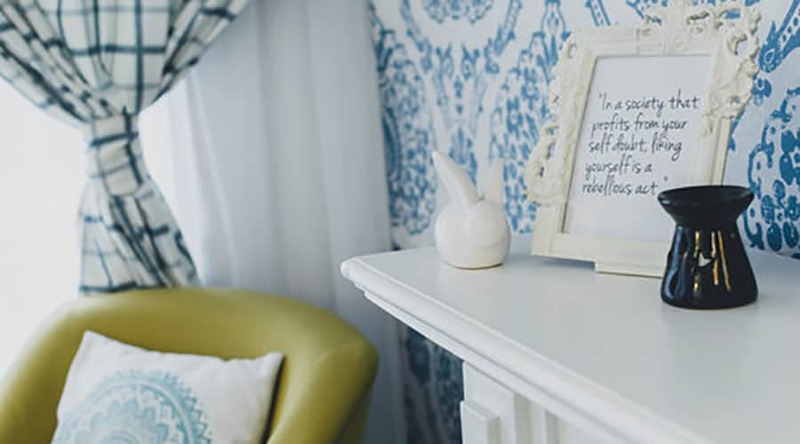 The décor is largely as Irina and Daniela found it when they took over the hotel – traditional and floral. They have created modern touches with contemporary slate-grey wall colours and modern prints. Beds are comfortable and linens fresh. Bathrooms are simple and small, though very clean – and the shower pressure is excellent. Other places to stay: There are plans to build three domes in the garden, to accommodate an additional seven guests. Other spaces to be: The garden is studded with swinging chairs and hammocks, where you can retire with a book. Views are across lush green hills towards mountain peaks. There is a shady pergola with a lounger, too. A short wander beyond the immediate field will take you to meadows and a babbling brook, perfect for solo contemplation – and there are plans to build a meditation platform in this spot. If want more challenging yoga, extra classes are available. Don’t be shy about asking for second helpings at dinner. If you’ve a hankering for beer and local cheese, take the trip to Bran. The landscape is quite something – do take walking shoes or good trainers and explore. Spring is rainy, summer is hot, autumn is ablaze with colour and winter is as cold as -20°C. The retreat is busiest in summer and quietest in March and April. 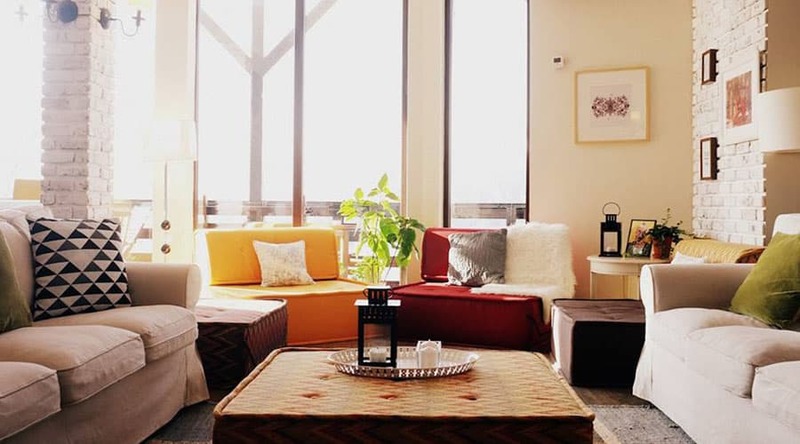 Living room: The spacious but cosy living room, bedecked with generous sofas, beanbags and cushions, provides ample opportunity to curl up or spread out for naps and reading. There’s likely to be a puzzle on the go, and there is a cute arts and crafts table, too. There is a bookcase filled with novels, books on spirituality and cookbooks, and peppered with characterful ornaments that feel as though they’ve been picked up on personal travels. The walls are decorated with graphic prints and photographs. The living and dining space is all one, and open plan. Yoga and treatment spaces: There is a quirkily shaped yoga room where indoor practice takes place, with a single mirrored wall; and then the outdoor yoga deck, which overlooks the spectacular scenery. 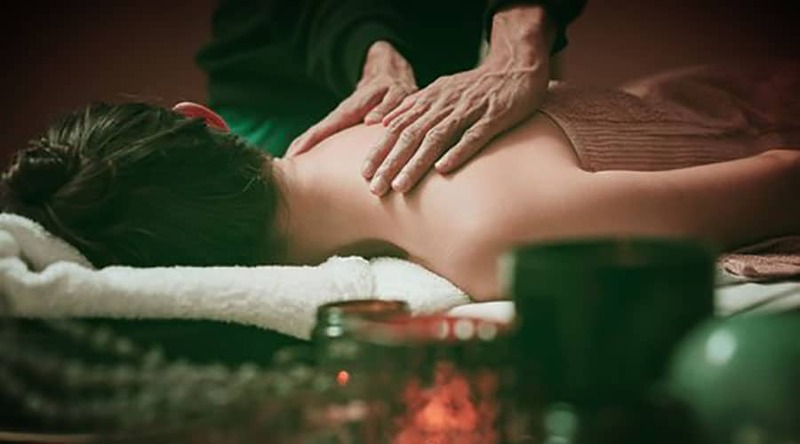 Treatments take place in a small and simply set up massage therapy room, and a similarly simple bath rituals room. Outdoor spaces: The house backs onto a sloped field, and there’s a balcony surrounding the living space with a number of tables and chairs overlooking the hills. Around one corner there is a more secluded table with benches, looking across into the neighbouring field, and there’s a cluster of sun loungers out on the deck. There’s no pool. You eat at a handsome long dining table flanked by tall leather chairs in the open plan sitting and dining room. You can also take your plate out to eat at one of the tables on the balcony. The food is plant-based, and at least 70% organic. All fresh produce is locally sourced and seasonal. Meals are gluten-free, low-salt and refined sugar-free. Daniela’s sister, Elena, is a specialist in integrative medicine and verifies the nutritional balance of the menus. Breakfast might be coconut quinoa porridge, or beetroot pancakes with fresh raspberry jam, accompanied daily by a smoothie, perhaps watermelon and mint, or apple, celery and cucumber. Every day there is homemade granola and almond milk, fresh cut fruit and berries, bee pollen, dates, seeds – and, on request, coffee!Lunch is a self-service buffet of dishes like gazpacho, quinoa salad, bean tacos, tapenade, courgetti with lovage pesto, tomato salad with dill, and marinated peppers. For dinner there might be buckwheat-stuffed roasted vegetables or risotto, with a dessert of berry sorbet with date syrup or poached apricots. Apart from during wine-tasting retreats, it’s an alcohol-free zone. Akasha has trained up and employs ten people from the local village. They have a practically zero-waste food policy, and use eco-friendly detergent throughout the house. They have dug their own well and the water comes from a natural filtered supply from the nearby river. Transfer time: 3 hours. You can also take public transport from the airport to Brasov (around 2 hours), then get the free transfer service to Akasha.